Bill “Sputnick” Spooner was the founder and principal songwriter of the rock band, “The Tubes”, in 1970’s & 1980’s. He has recorded many albums with The Tubes & signed two major label record deals while playing with the band. He has performed with Led Zeppelin, David Bowie, Frank Zappa, Peter Gabriel, Alice Cooper, and many others. Bill is a Bammy Award winning and Grammy nominated singer and guitarist. Among his many musical influences are Scotty Moore, Chet Atkins, Tommy Emmanuel, and Johnny Cash. 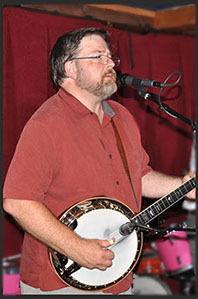 Bill has been teaching guitar, songwriting, and leading band workshops for over 18 years. Bill assists students in reaching their goals while encouraging them to expand their music theory knowledge and playing experience through different genres and styles of music. Avelix began playing the guitar at age 11. He learned from his friends and was self taught until he was 19. Unsatisfied with his knowledge on the guitar, he decided to take lessons and a dramatic improvement began taking place in his playing. He studied classical guitar and in 1994 he was invited to play at the prestigious Lincoln Center in New York City. Avelix enjoys playing genres from Alternative Rock, Classic Rock, Heavy Metal, and Classical Guitar. In 1995 he taught at Colton Music Center in Hayward for five years. He pursued other business ventures but came back to music so now he fulfills his passion by teaching and developing repertoire for his students, for himself, and constantly developing strategies to keep the lessons interesting. He enjoys teaching his private and group students here at Consumer Music. 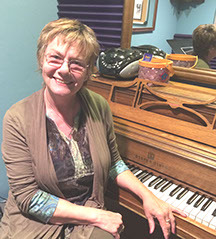 Nancy teaches student of all ages in voice, beginner guitar & piano. Her instruction includes all aspects of music including music theory, ear training, as well as rehearsal and performance techniques. Nancy is proficient is all styles of music including jazz, folk, rock, blues and pop. She has taught as an adjunct professor at the college level and works well with beginners to advanced students. Nancy is a friendly and outgoing instructor who strives to make learning music an enlightening and enjoyable experience. As a vocalist, Nancy received her Degree in Music from Berklee College of Music in Boston. She has taken Master Classes with many top musicians including Quincy Jones, Barry Manilow, Buddy Rich and Cleo Lane. Nancy also studied privately with President Kennedy’s renowned voice therapist, David Blair McClousky, at the New England Conservatory of Music. She has assisted in the production of music programs around the world such as PBS’s “Bahia, Africa in the Americas”, BET’s “Reggae Sunsplash” and The Newport Tall Ships Music Festival. I’ve loved music all my life but I don’t come from a musical family. As a teenager growing up in Atlanta, GA, I liked to go hiking in the North Georgia mountains and I had friends that were into whitewater canoeing and kayaking. We heard rumors of a movie being made up in North Georgia and it turns out some people we knew were providing technical assistance and doing some of the critical stunt work for Deliverance. I was an impressionable young lad when my older brother took me to see the R-rated film. Needless to say, that movie opened my eyes about a great many things but the thing that stuck with me most was that fiery banjo tune, Duelin’ Banjos. The nightmares had barely begun to fade and I already was trying to work out how to play that song on my new banjo. At 13, things come quickly and not more than a year or so later, my best friend and I brought down the house at our high school talent review with our rendition of Duelin’ Banjos. The performance bug had bitten and I was determined to keep playing and performing. In the mid-90’s I came to California for a job with what later revealed itself to be a bad company. In my spare time I joined a band and a little later, my wife joined up playing bass. We went to a new band after a while and that’s where I’ve stuck now since about 2004. Check out The David Thom Band when you get a chance. Through all this, I’ve had a great love of teaching (along the way I picked up a Ph.D. in Microbiology) and it seemed natural to take up music instruction and teach the banjo. It has been a very personally rewarding pursuit. I do love to see someone have that “ah hah” moment when something just clicks into place.